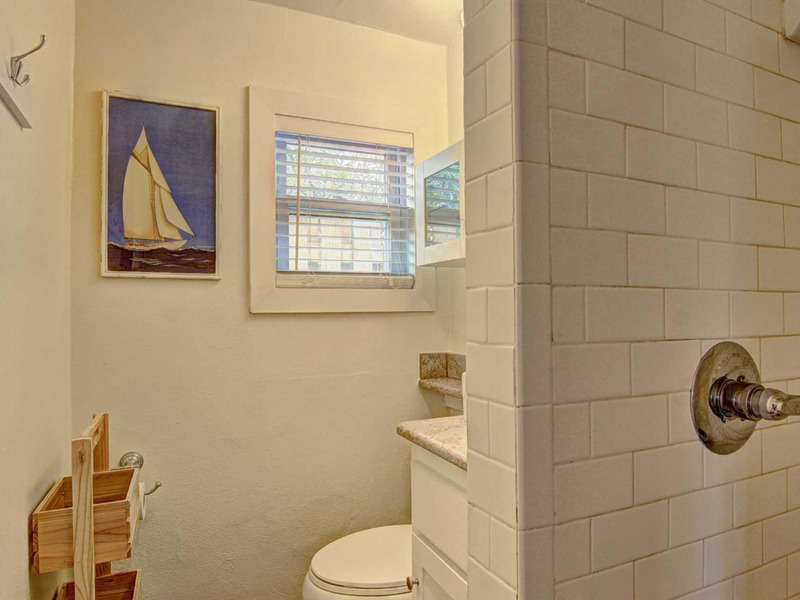 Get the privacy of a home for the price of a condo! 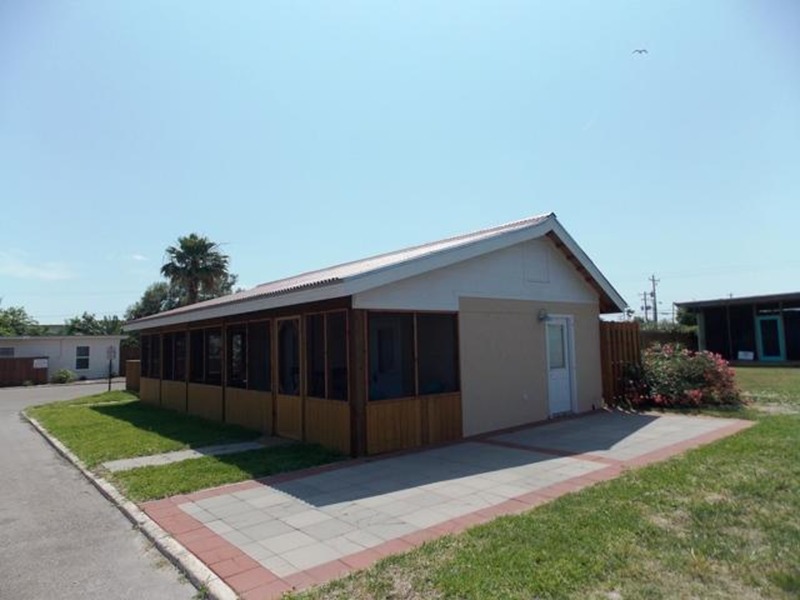 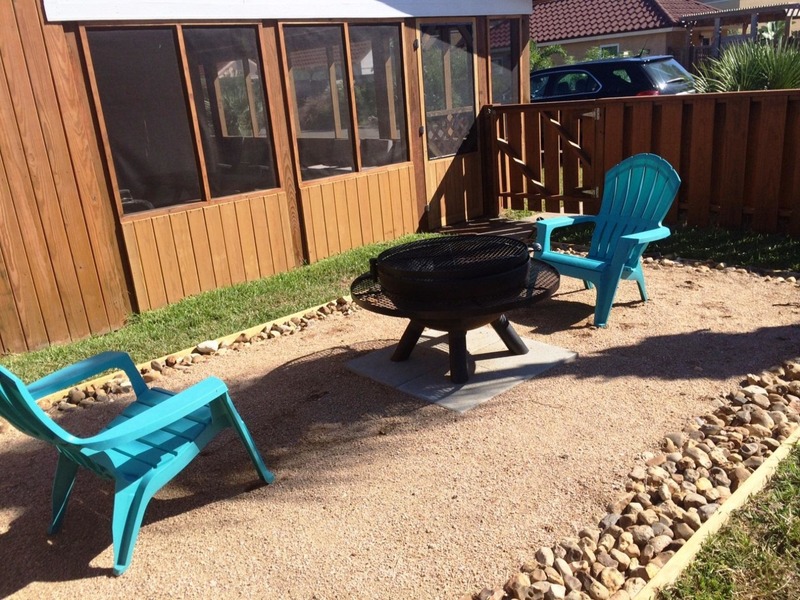 This 1 bedroom, 1 bath cottage at Spanish Village in Port Aransas is free standing and offers a generous and well manicured yard. 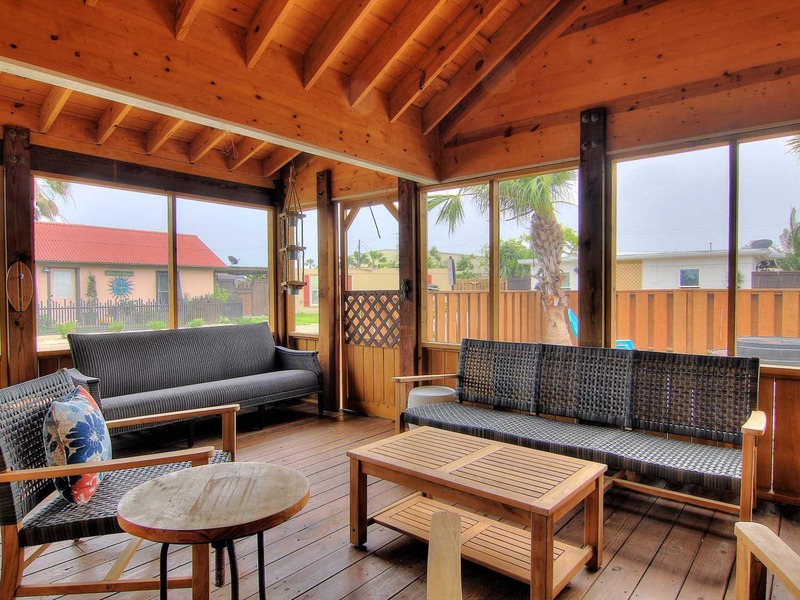 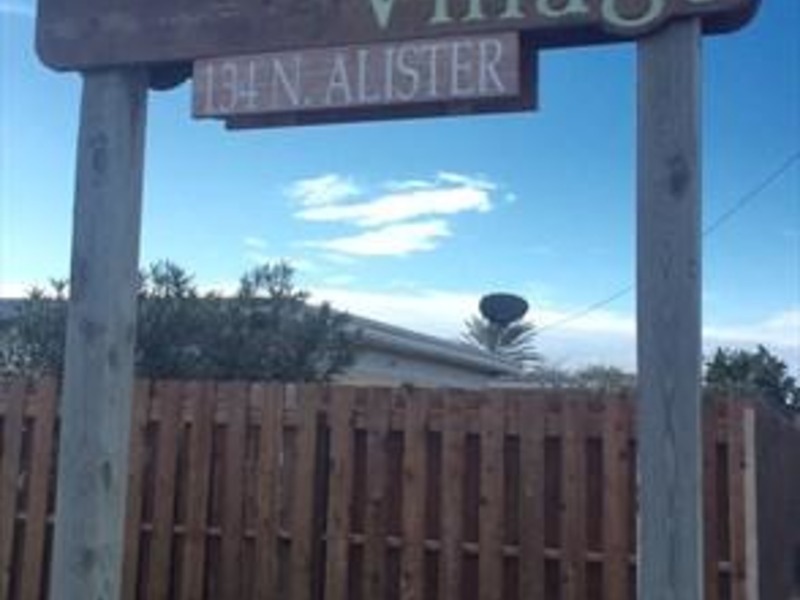 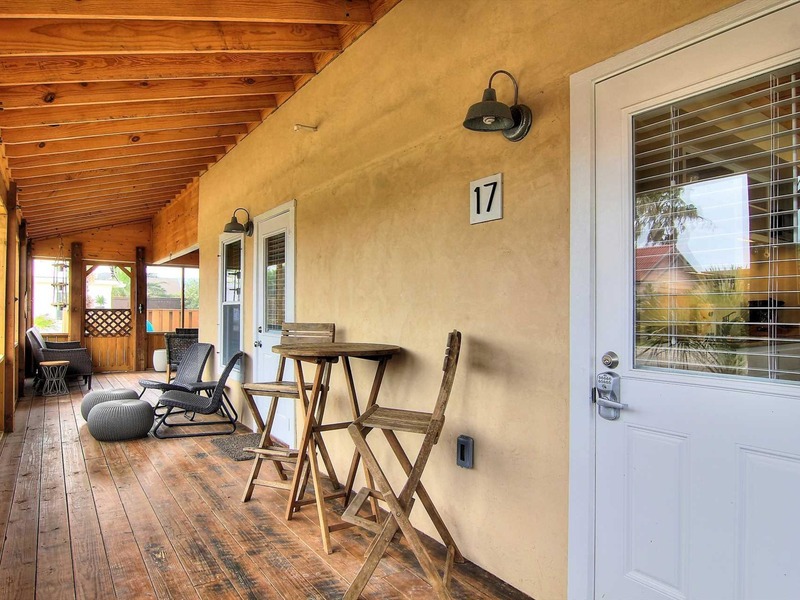 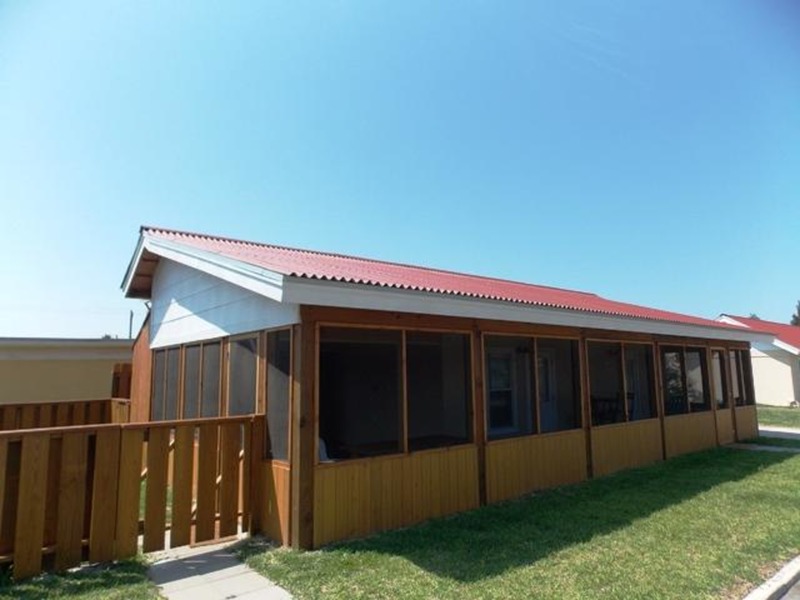 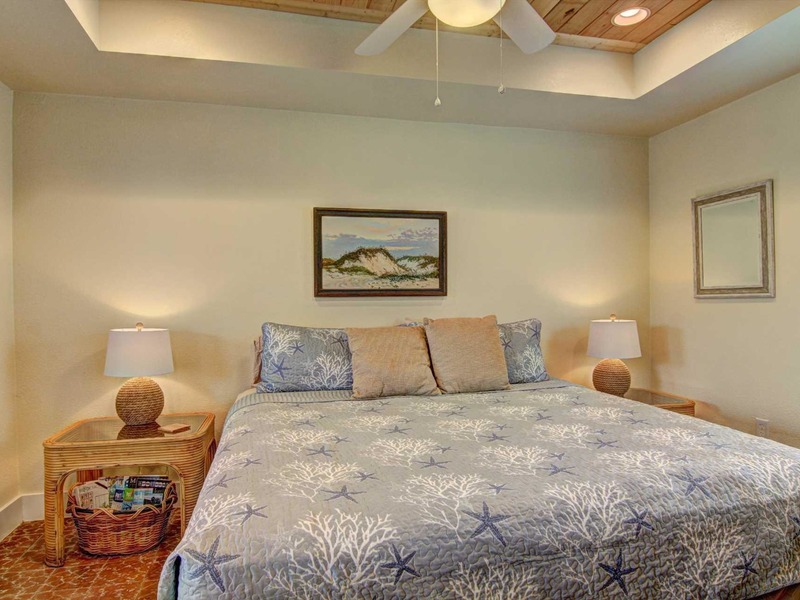 Situated on Alister Street in the heart of Port Aransas, this property is just a short distance away from the grocery store, restaurants, bars and other shopping. 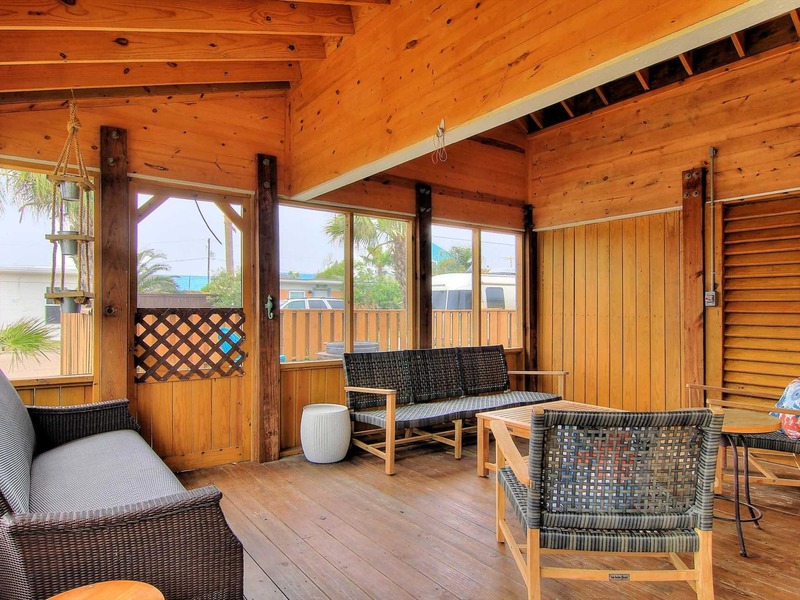 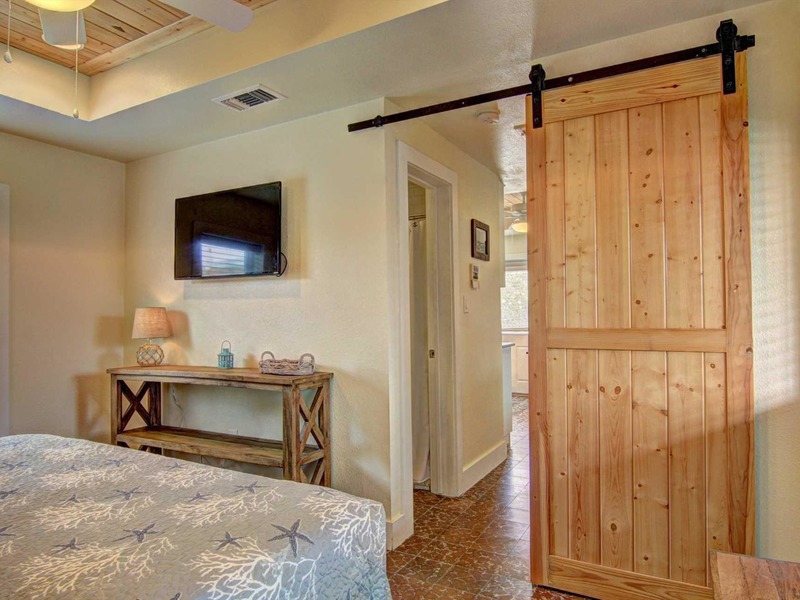 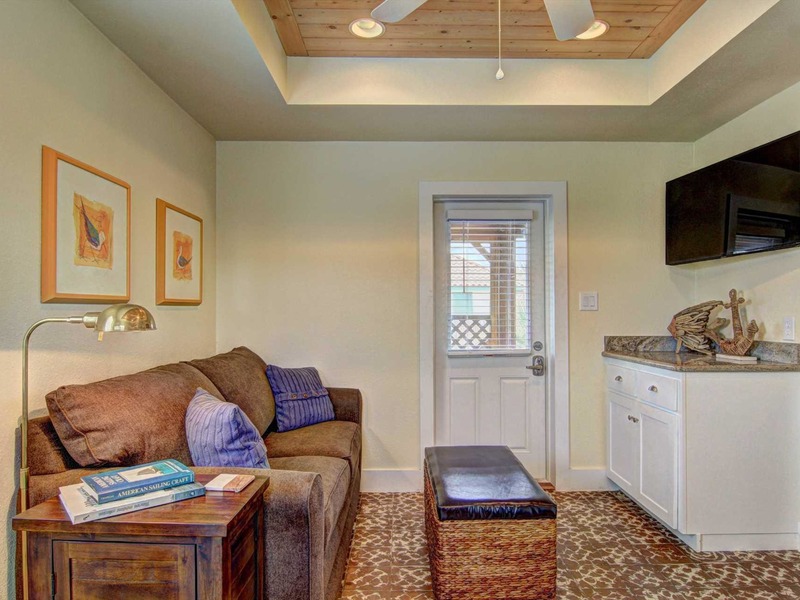 These cottages have been a fixture in Port Aransas for years and offer a truly unique location, along with a chance to take in some old island charm. 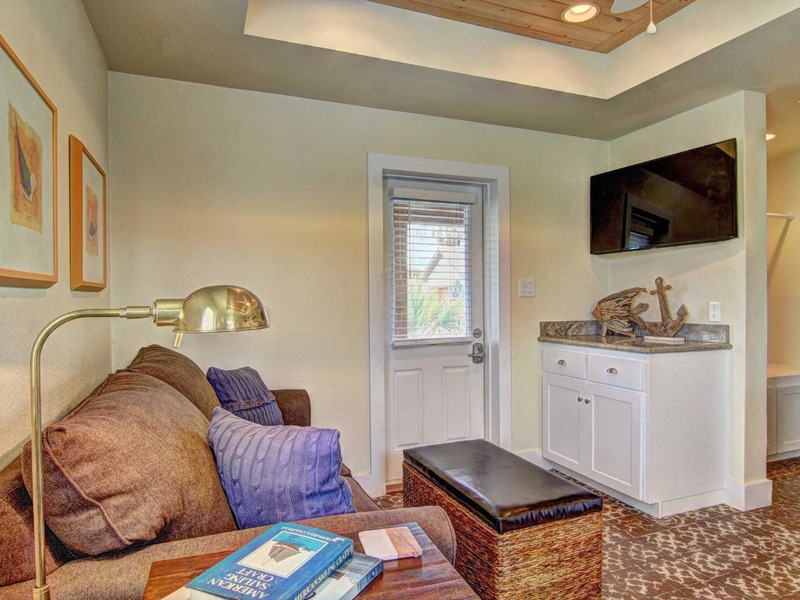 This home feaures vintage island tile flooring throughout . 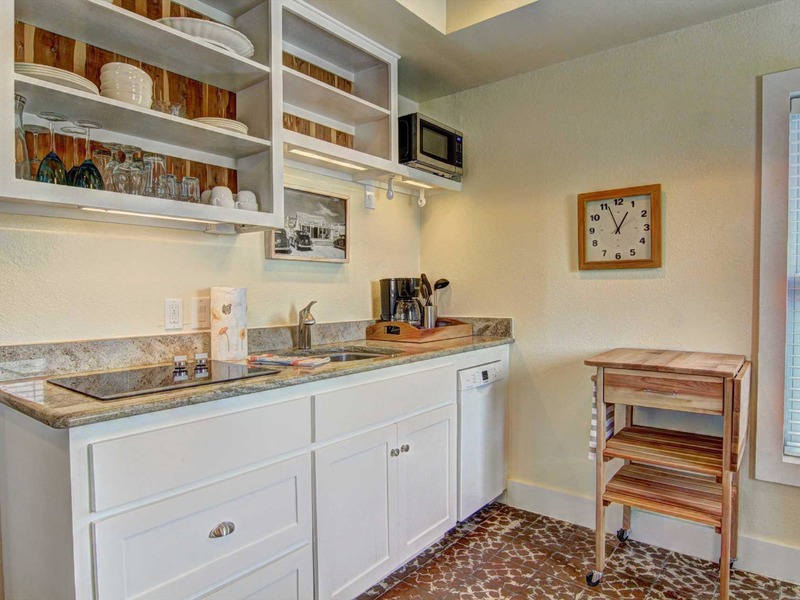 There is a dining table and a fully equipped kitchen complete with a refrigerator, stove, coffee maker and all the other essentials. 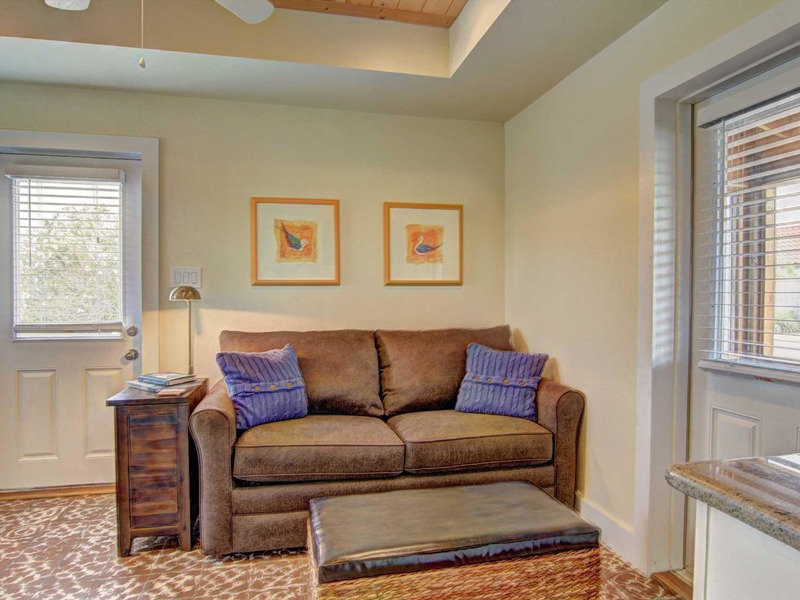 This home can accommodate 3. 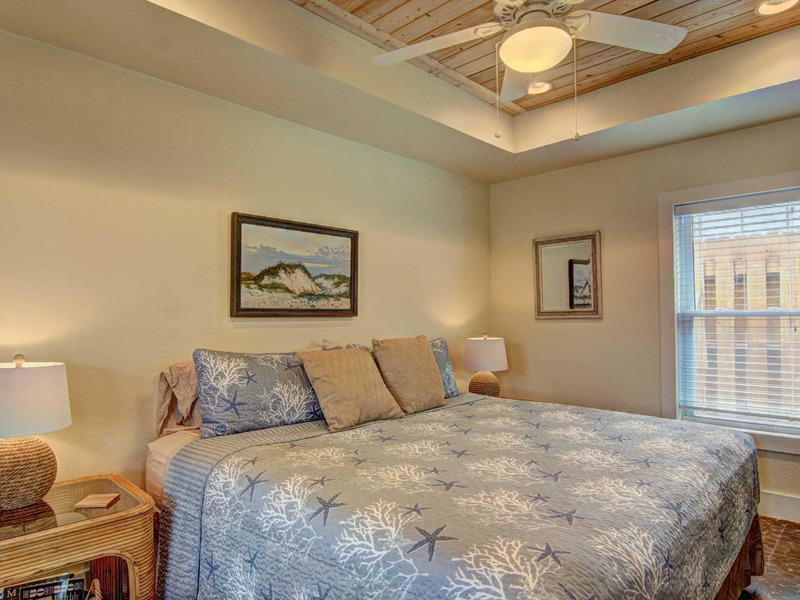 There is a king bed in the bedroom and an air matress for use in the living room. 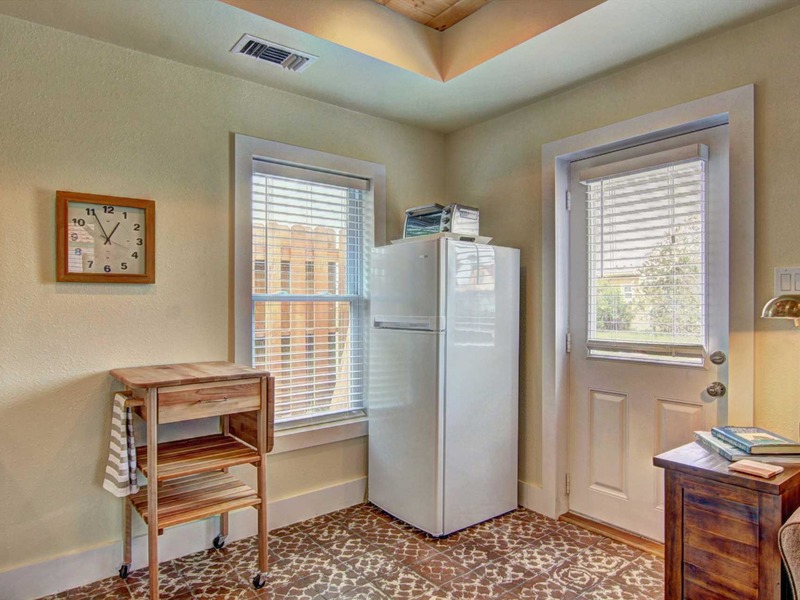 Amenities include Air Conditioning, Blender, Coffee maker, Dining table, Flat Screen TVs, Fully furnished kitchen, Microwave, Oven, Refrigerator, & Toaster.